November 17-January 1 Illumination at Morton Arboretum, interactive light experience in the trees, special events on certain days, see schedule, closed Mondays except December 31, closed Thanksgiving, Christmas Eve and Christmas, see website for ticketing details -- I recommend reserving tickets in advance! 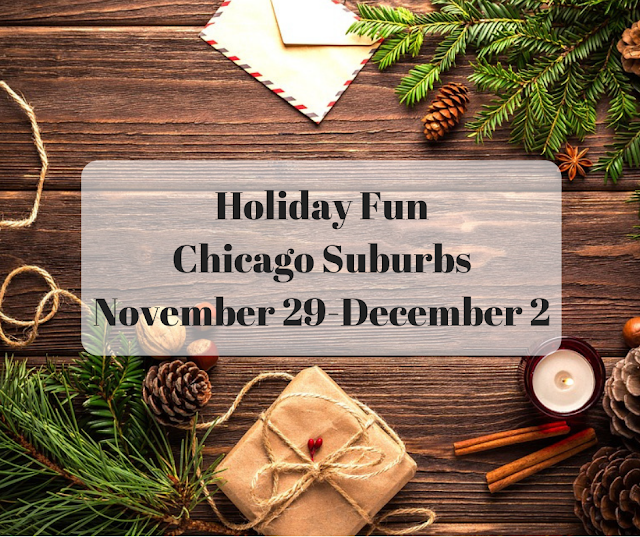 November 22-January 6 Wonderland Express, Chicago Botanic Garden, see ticketing info and more on website, see landmarks in miniature with holiday glory! For more options, check my Impressive Holiday Lights in the Chicago Suburbs post.